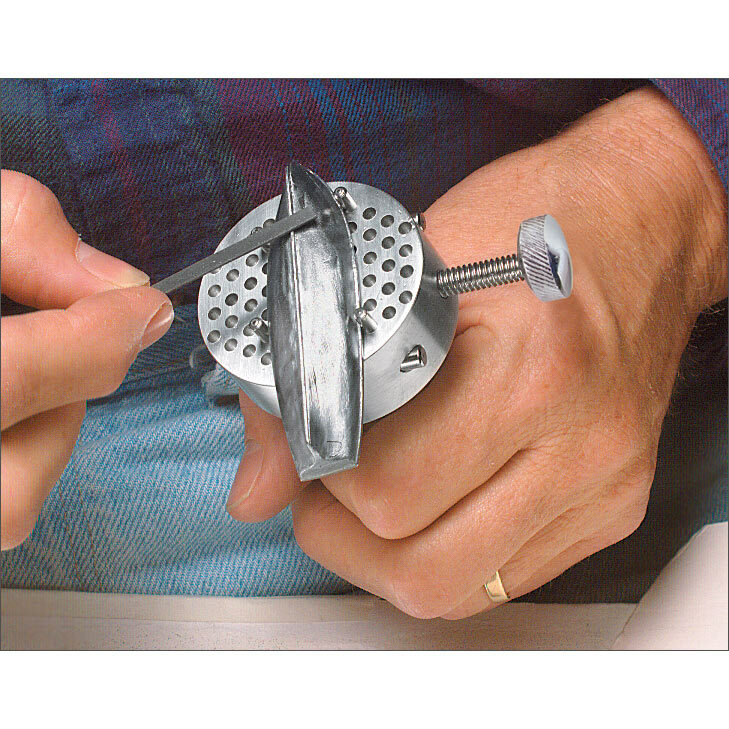 This ingenious tool is used to hold small and odd-shaped parts for engraving, carving, sawing, filing, sharpening, etc. The four steel pins adjust to 60 different positions to hold the most irregular shapes. 2 inches dia. solid aluminum head with steel guide pins and screw. 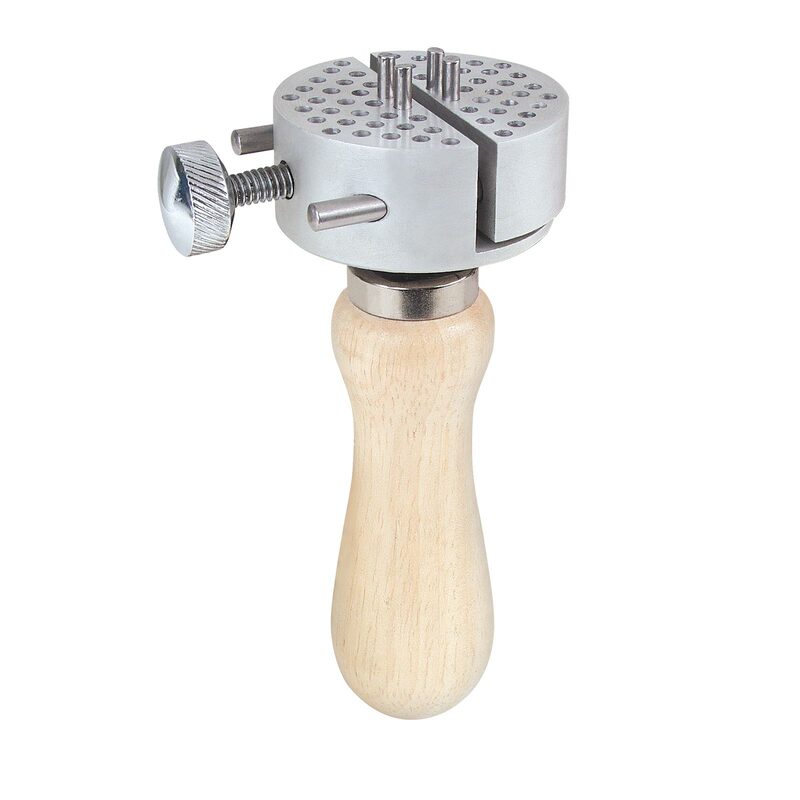 Hardwood handle can be removed for locking the head in a bench vise. 6 inches long overall. Handle and lock knob may vary.